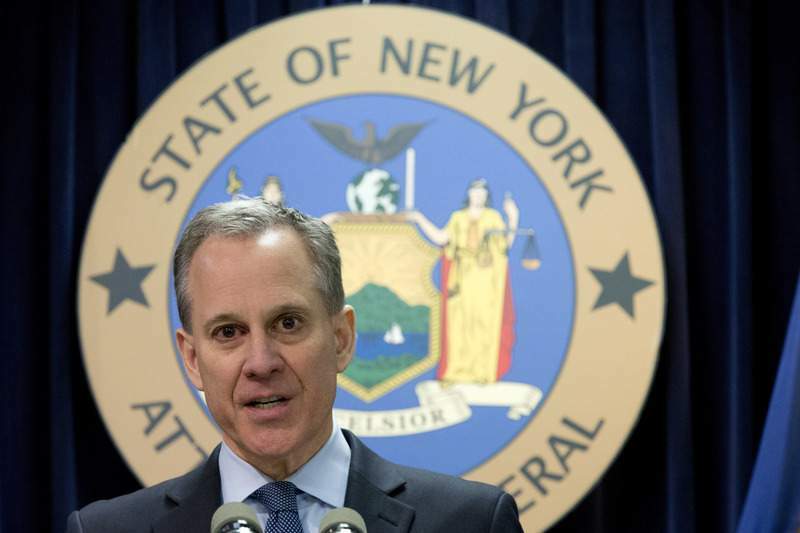 NEW YORK – The special prosecutor appointed to investigate allegations that former New York Attorney General Eric Schneiderman physically abused women said Thursday that she has closed the case without bringing criminal charges. Nassau County District Attorney Madeline Singas announced her decision in a brief statement. She said investigators did an "exhaustive review" and she personally interviewed each woman who had accused Schneiderman of assault. Investigators also spoke with members of Schneiderman's security detail. She concluded that statutes of limitations and other "legal impediments" made it impossible to charge Schneiderman. The probe found no misconduct by Schneiderman's staff in the attorney general's office, she said. Gov. Andrew Cuomo appointed Singas as a special prosecutor, bypassing Manhattan District Attorney Cyrus Vance Jr. because of a potential conflict of interest. At the time, the attorney general's office was investigating how Vance's office had handled a sexual misconduct allegation against movie mogul Harvey Weinstein.